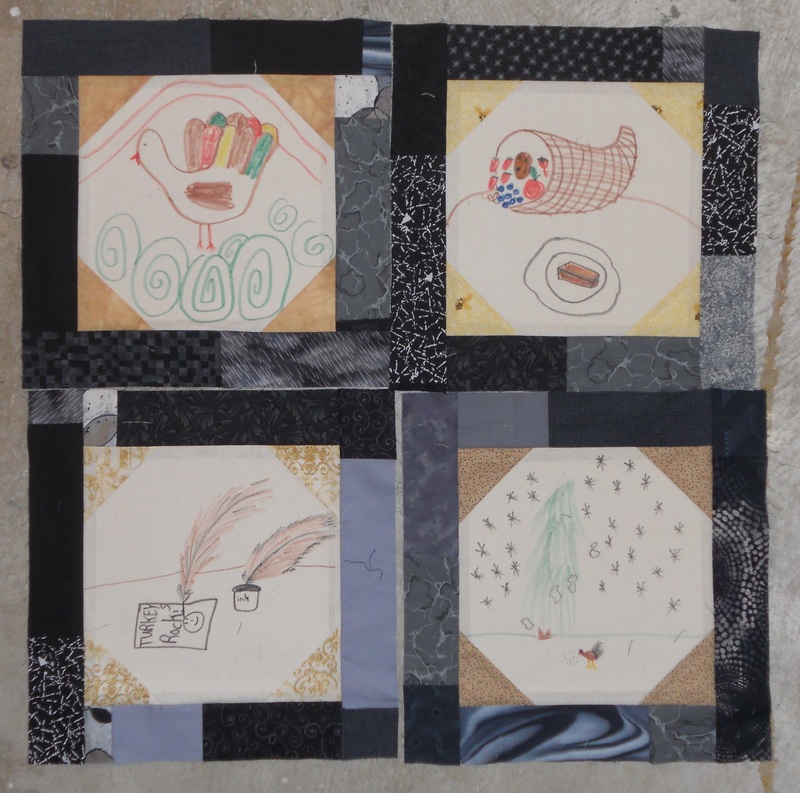 Here’s an update on this post I wrote about making quilts for my childhood summer camp. 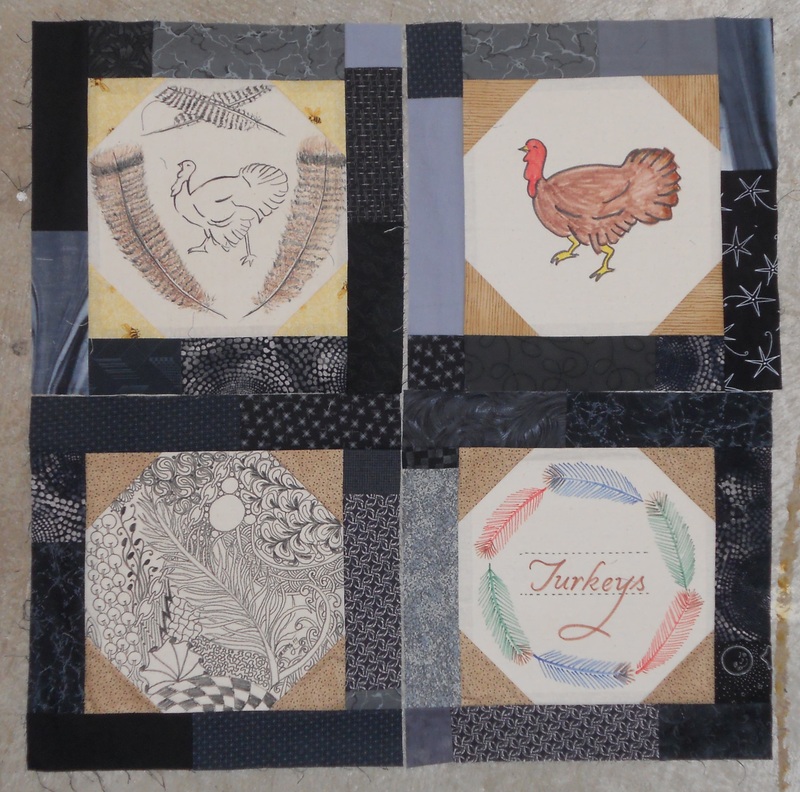 The turkey blocks have arrived! I sent blocks to camp to be decorated and they’ve flown back to me. I photographed them in sets for detail’s sake. I sent two different sizes. ‘Cause I’m cool like that. 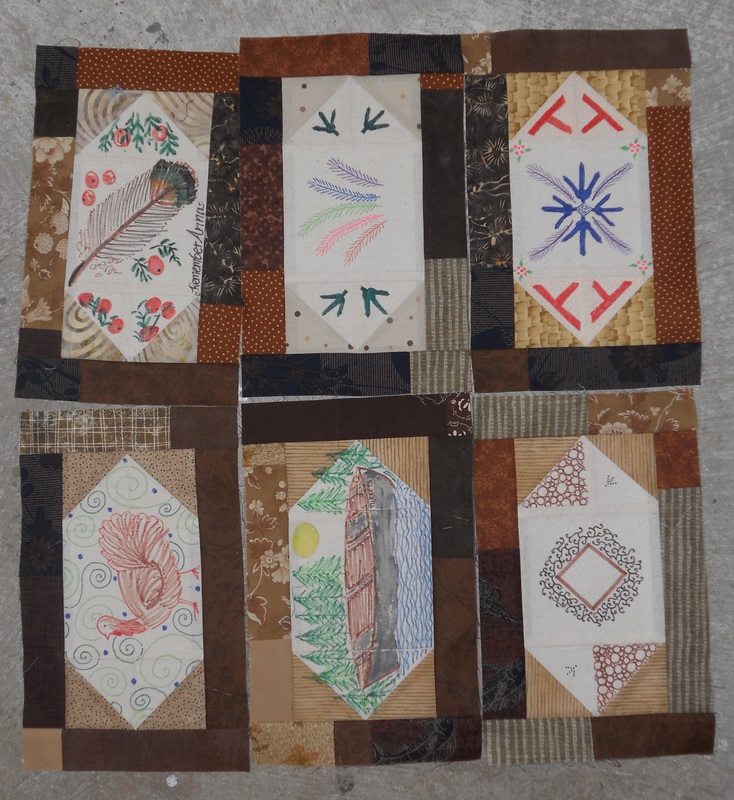 Here are the smaller, rectangular ones. As you can see from the last photo, I got some extras back that were not decorated. Which is completely fine! 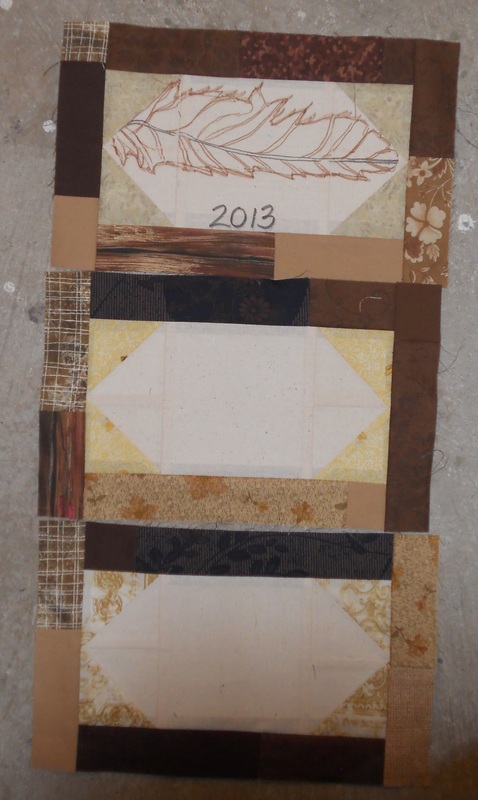 When making a signature quilt or collaborative project I ALWAYS make more blocks than I think are needed. They can always go on the back or be made into something else. I’d much rather have this problem than the uncomfortable one of not having enough for everyone who wanted to participate. Okay, here are the next set of turkeys. These blocks are larger and (as you can tell if you passed kindergarten) square shaped. Look! I even got some of those hand-turkeys I was talking about in my last post. Also some really intricate Zentangle-like blocks that are so artistic and awesome! Lots of feathers and tracks. The final photo is of the maker’s block. 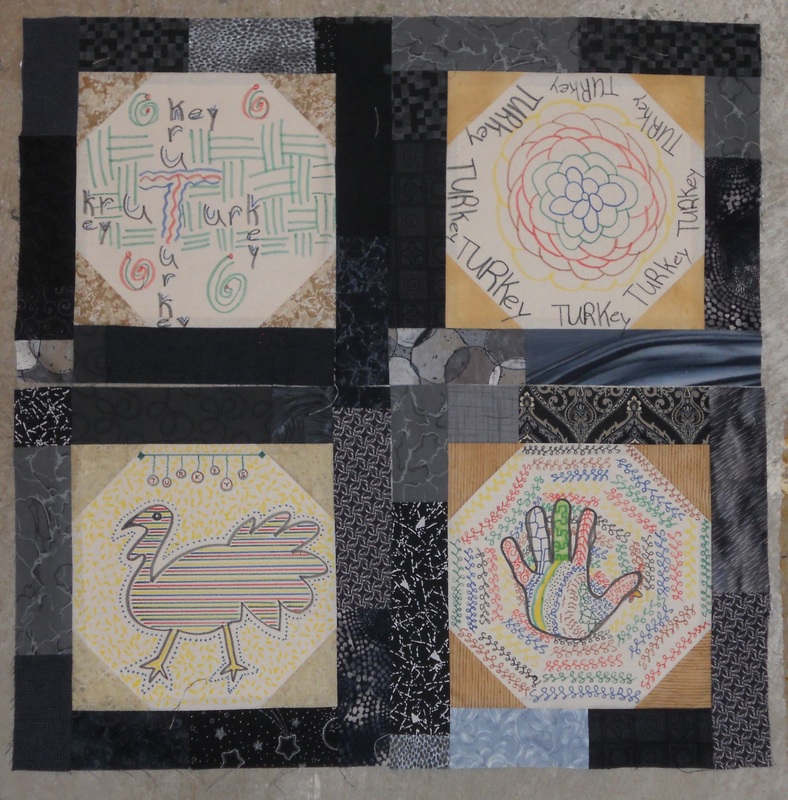 I sent this one off to camp with the request that all of the artists identify themselves so I can give them credit. Didn’t expect anything this beautiful in return. Preeeeetty. 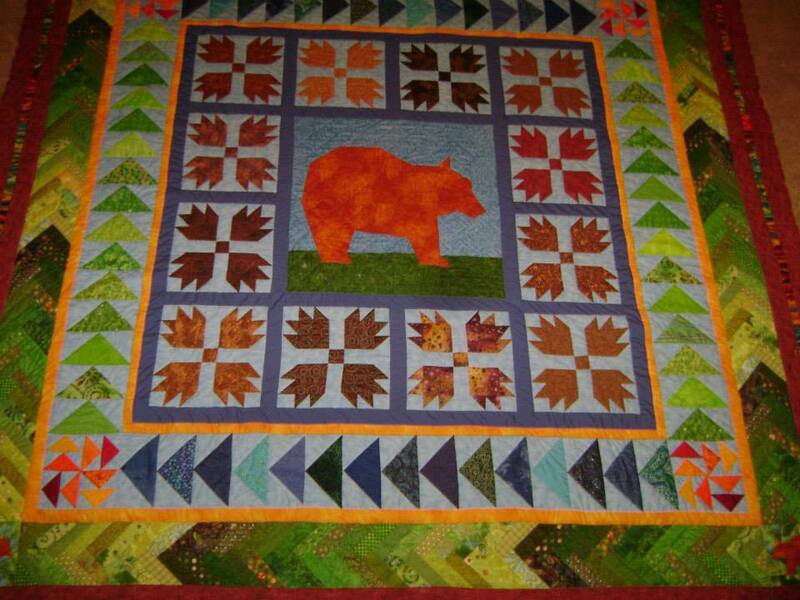 Also, the Bears’ quilt is completely finished! 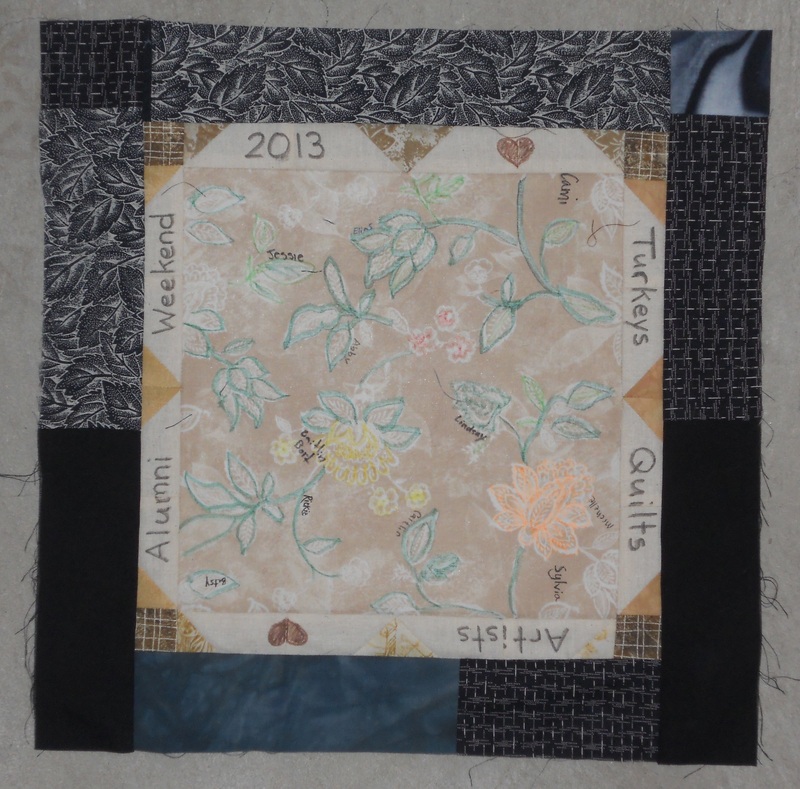 Pieced by Betsy Huffman and quilted by Nancy Dewire. That’s all for now folks! 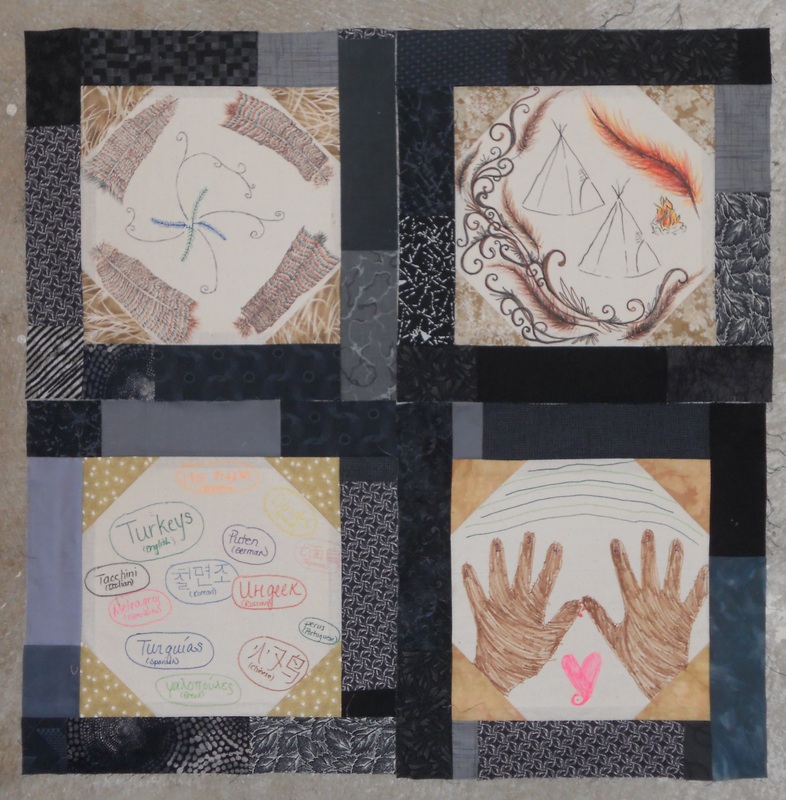 I’ll post another update on the clan quilts as we get further along in this process. 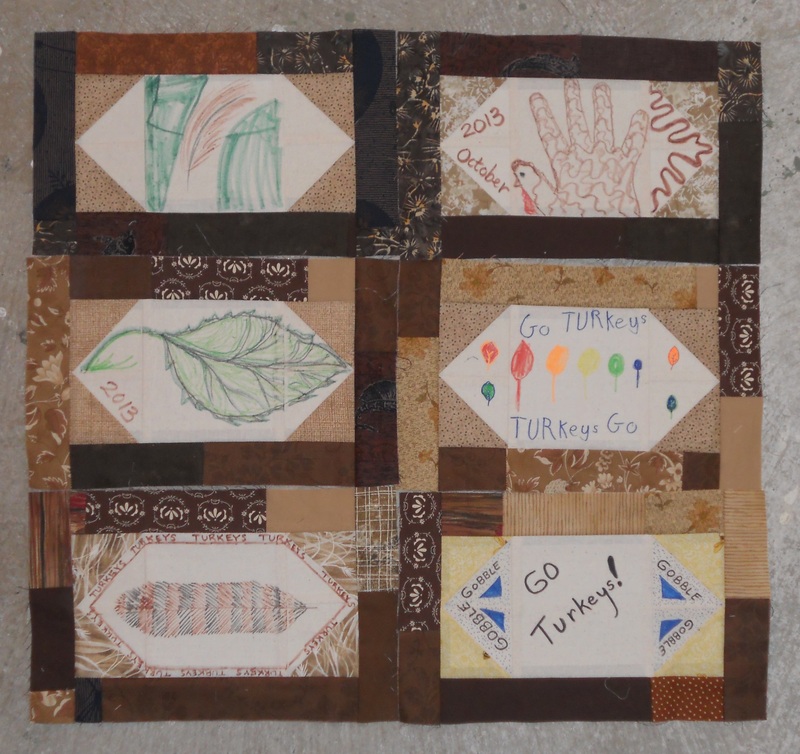 This entry was posted in Collaborations, Inspiration and tagged alumni, art, art quilt, bears, camp, campers, collaborations, counselors, crystal lake camps, fabric drawing, fabric markers, hand turkeys, kids art, modern quilt, modern quilting, quilt, quilt in progress, quilting, quilts, signature quilts, summer camp, turkey, turkeys, turtles, wolves, zentangle on November 24, 2013 by quiltartbymegan.